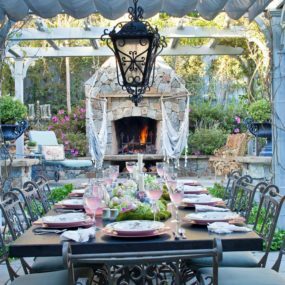 Whether you have a small outdoor space or a large one the key is decorating the area to your liking by creating a luxurious space that allows you to feel as if you have your very own piece of paradise every time you step outdoors. 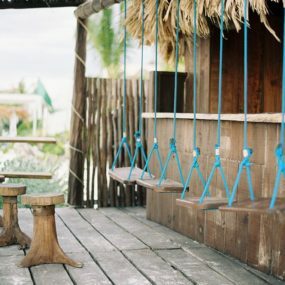 Here are luxury outdoor spaces with bold colors, comfy furniture and fun designs that bring a little slice of vacation right to your home. 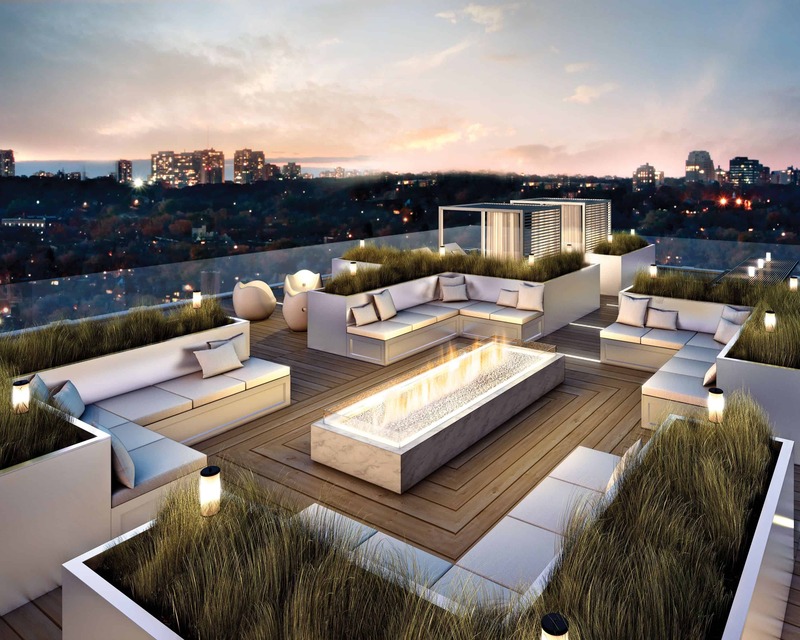 The bigger the space the more options you have to add a luxurious vibe to the terrace. Contemplate adding a sleek seating area and pairing it with a fire element right in the center. Doing so will add a cozy feel while still being extremely modern. If you have a terrace it is time to take advantage of the space and create a charming area. You want to add cozy furniture such as a cushion seating paired with colorful bits that work well with the décor you already have. Additionally, consider adding a chandelier for that classic charm that is very “resort” like. Keep your decor to a minimum even when you want to create an entertainment space. The key to having a minimum, luxurious space is ensuring that you have your essentials without taking much space. 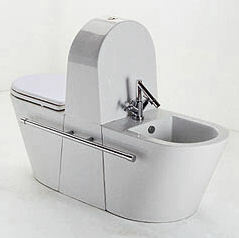 Use a marble finish to remain in the all-white family but still has hints of unique veining. Nothing screams luxury quite like an all-white entertainment space that is paired with fresh air dining, and simple seating. The key is maintaining the area as crisp and white as possible. Doing so will bring a clean palette that allows the outdoor greenery to have a calming yet bold aesthetics. 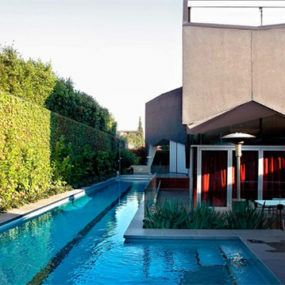 There is no better way to create a luxurious space then to focus on the pool area if you have one. Add colorful and comfortable seating to ensure your pool not only remains the main focus but that the space becomes a favorite area for you and your guests. What better way to bring a luxurious focus to your outdoor area, then to focus on your pool. You want to create a pavilion surrounding your pool. 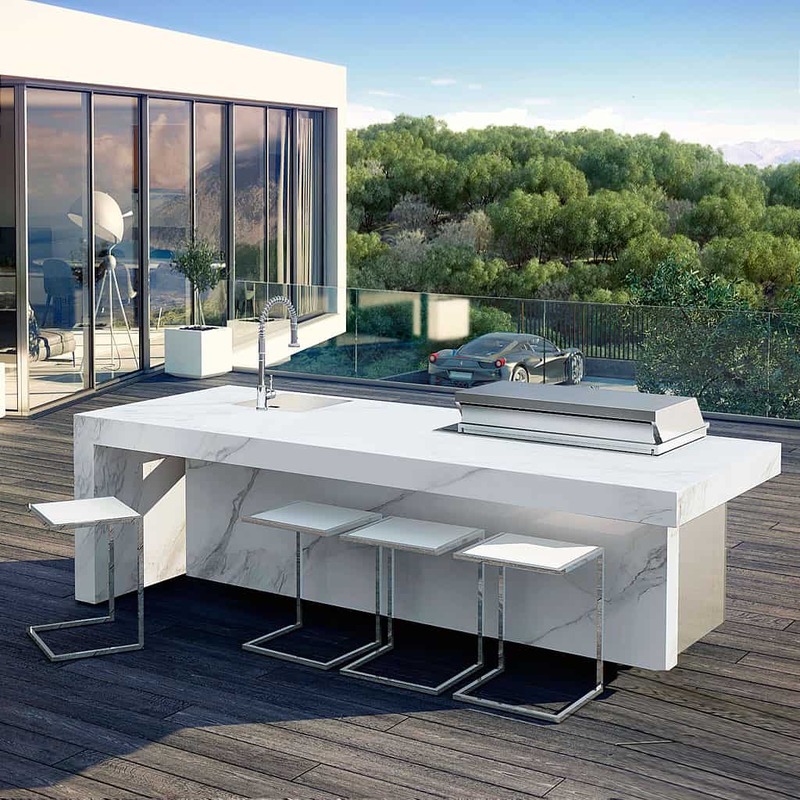 Furthermore, you may even want to add an in-pool bar that connects to the outdoor space. Add fun seating and/or a sofa to bring a cozy twist right where you need it. We love the idea of using large stripes in neutral hues to bring an upscale look to your backyard space. Consider adding a cohesive look throughout by using the same pattern continuously throughout. 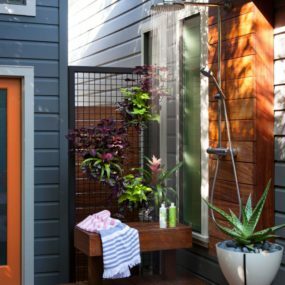 Your outdoor space lends itself to the use of bold colors and patterns. The key is working with bold patterns and pairing them with hints of neutral. Add cushions with stripes or consider having your décor focus on a distinct stripe pattern. 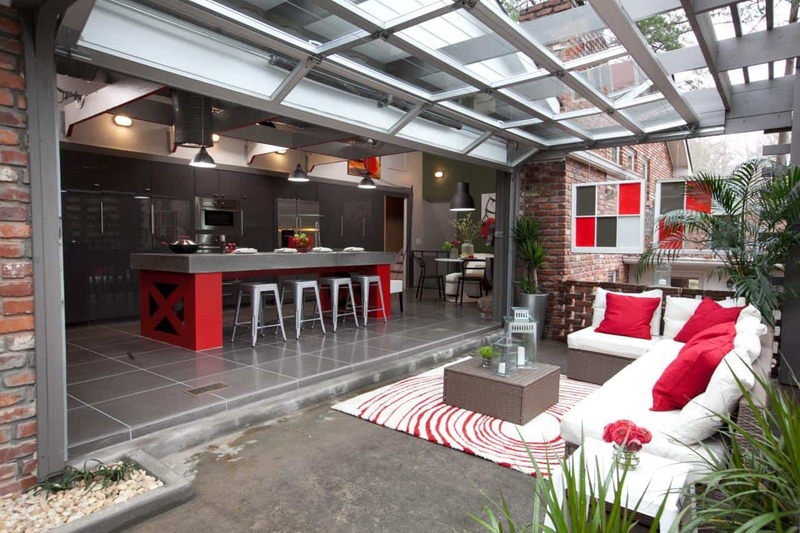 Pops of red in your outdoor space is always a good idea due to having that bold punch that your outdoor area may need. Pair with a unique light fixture and neutrals to allow the daring hue to make the statement its intended to make. The color red is known for being a luxury hue, especially when it is used as a pop of color instead of the main shade. Pair your pops of red with darker furniture to allow the brightness of the shade to make the elevated luxurious feel it is intended to make. You may even want to add a Morrocan inspired swing to bring the décor to an entirely different level. 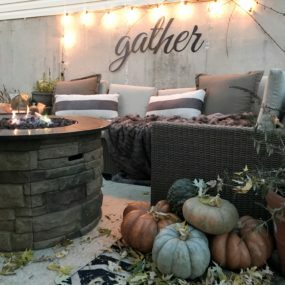 Why only have a cozy indoor feel, when you can have the same vibe outdoors as well? 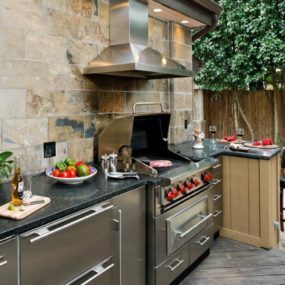 Bring a stylish, luxurious feel to your outdoor space with a fireplace and outdoor kitchen combination. You may even want to add a seating area with an outdoor television to create an outdoor living room. 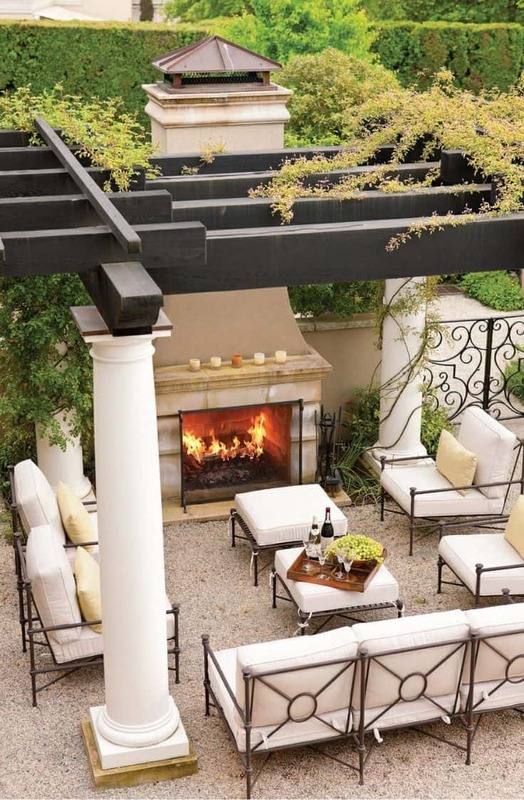 Having an outdoor fireplace is one of the very first things a luxurious outdoor space tends to have. This allows the area to instantly become a favorite in the home as it gives you the versatility to sit outdoors during the warmer months as well as the cooler ones. 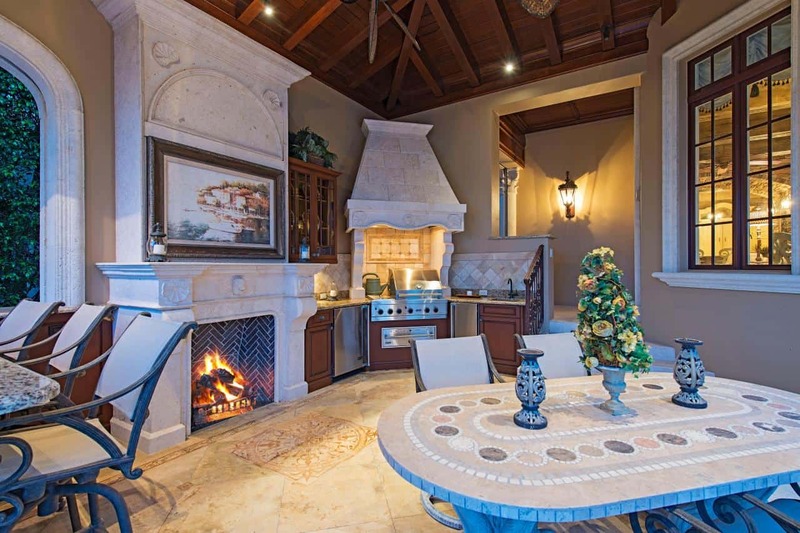 Pair your fireplace with a simple outdoor design to allow it to become the main focus of the space. Luxury dining doesn’t always have to be bold and over the top, instead, it can be simple and refined while still being modern. The key is working with the atmosphere and creating an ambiance that feels rich regardless of the seating pieces used. Consider using a bench seating with added modern seats. Add a fireplace to further push forward the idea of having this chic space that is beautiful and simple. The simplicity of your decor is what makes the space seem more put together while still having that seamless, charm and feel. We love the idea of incorporating a classic indoor vibe directly outdoors to not only elevate the area but have a put together aesthetics. For a luxurious twist, you want to use simple seating yet have bits and pieces of chic, modern furniture. Additionally, you want to incorporate bench seating or even stools. 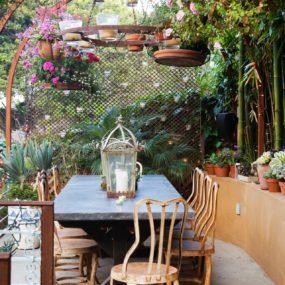 Instead of only having one light fixture consider having a large light piece and utilizing fairy lights to surround the space and bring a luxurious, romantic feel that can be felt throughout the entire backyard. We love the idea of placing your light fixture directly above your seating for a beautiful focal point. 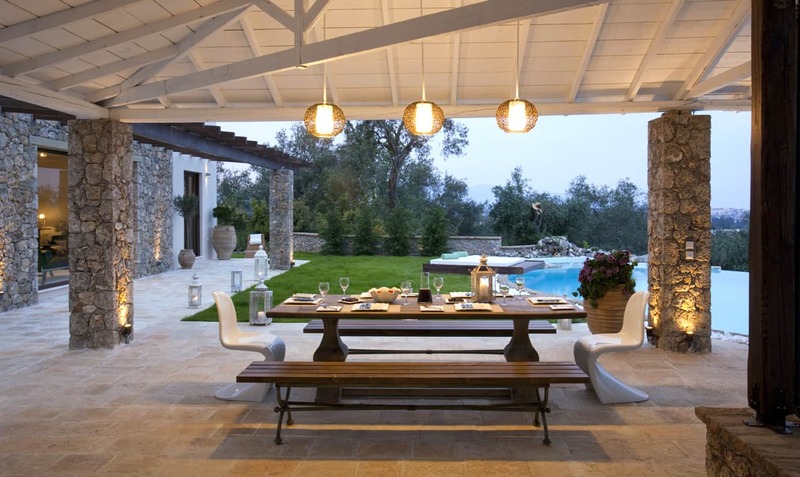 For a simple lavish feel to your outdoor décor add bold light fixtures that will brighten up the space immediately. 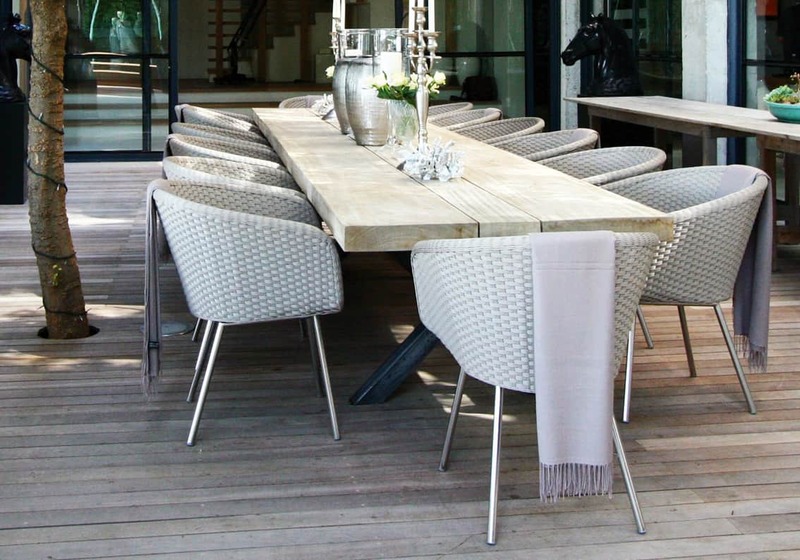 There is something very regal about having that hint of indoor pieces used outdoors in a modern way. Which is where chic light fixtures will come in handy. Use one or more light fixtures to bring your décor altogether. Shell seats used to be a top favorite for many which gives them the vintage edge that you may want to incorporate. Pair shell seating with a classic wooden table for that twist of vintage that brings a simple flair to the room. There’s no better way to add that crisp, luxury touch than to incorporate a vintage touch. There is something classic about it that simply works well in any space including outdoors. Use a traditional wooden table paired with vintage and modern seating to create a contrast between the trends. Luxury could be at the tip of your fingers. 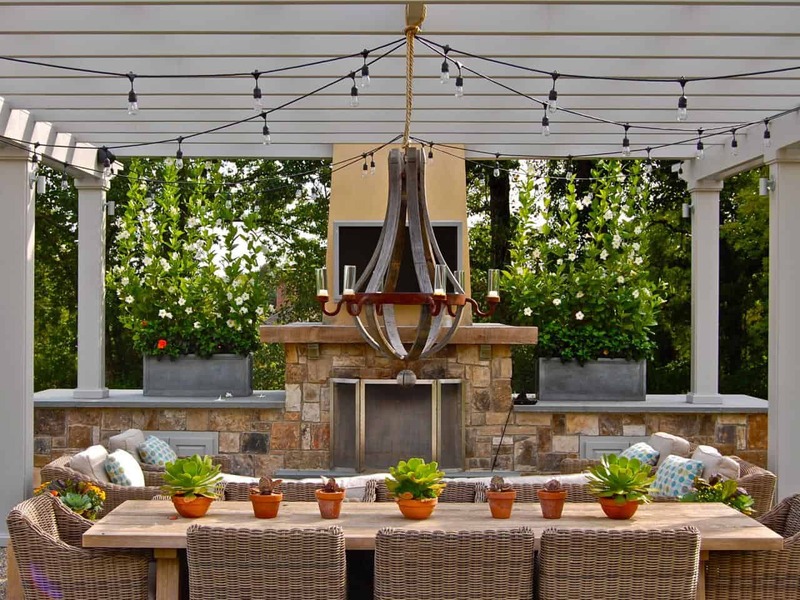 Which of these is your current favorite outdoor space idea? Please share with us in the comments below.